Denne model er 185 cm og bruger en størrelse M. Brystet måler 107 cm og taljen 81 cm. 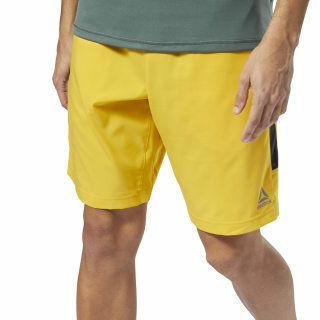 Made for action, these men's training shorts tuck in all the performance details you need for your workout. The material wicks-sweat and moves with you for a full range of action at the gym. A contrast stripe down the side gives them a kick of style.